Since the global financial crisis of 2008, stress tests have taken on growing importance and prominence in financial institution supervision and regulation. These tests, designed to measure an institution’s ability to maintain capital buffers and withstand extreme economic shocks, were imposed initially, and primarily, on the biggest multinational firms – those designated global significantly important banks (G-SIBs) or financial institutions (G-SIFIs). However, the circle for supervisory stress testing has widened to include a growing number of banks as defined by domestic jurisdictions – in the United States, for example, down to banks with $10 billion in assets under the Dodd-Frank Act Stress Test (DFAST) rule. 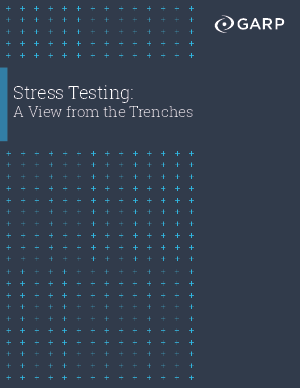 What’s more, stress tests and their underlying scenarios can be of considerable value as a strategic management tool to a financial services company of virtually any type or size. In the years since the crisis, regulators have continually modified and refined their approaches, which in turn have demanded increasing amounts of time and resources on the part of financial institutions even as they have progressed along the stress-test learning curve.